This article first appeared in Jacobin. The UPS strike is so weird it’s hard to know where to begin. Somehow, we’re supposed to believe that the mighty Teamsters has suddenly decided it must paralyze the nation’s parcel-distribution system to have it out over mostly voluntary part-timers and various pension arcana. These matters may be worth an argument, but Armageddon? What’s this weird, awful strike about anyway? Everybody else, though, seemed to get it. With 185,000 Teamsters on strike for nearly three weeks beginning on August 4, 1997, fighting under the slogan of “Part-Time America Won’t Work,” the UPS strike proved to be the most popular strike in a generation. Now that the United States and world economy revolves around the burgeoning logistics industry—dominated by giant corporations like UPS, FedEx, Walmart, and the quickly growing Amazon—we should look back to the 1997 UPS strike for lessons on how to revive a dying labor movement, and how to hit capital where it hurts. The future of the Teamsters hung on the outcome of the 1997 UPS contract. Ron Carey, the Teamsters’ first reform-minded general president, was elected to office in 1991 against two old-guard slates in the first government-monitored, rank-and-file election in the union’s history. 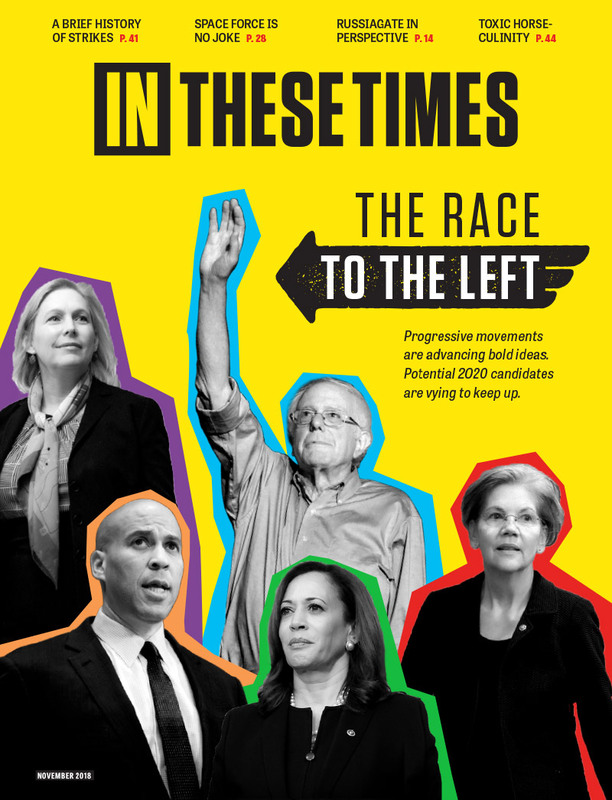 The majority of his slate were members of the Teamsters for Democratic Union (TDU), the longstanding Teamsters reform group whose origins were in the radical rank-and-file movements of the 1970s. A close look at the election results shows clearly that where TDU organizing has been strongest, the Carey Slate win was strongest — even in the opposing camp’s back yards. Carey’s triumph set off a chain reaction of events that toppled the sclerotic leadership of the AFL-CIO in 1995 and culminated in the 1997 UPS strike. Soon after taking office in 1992, Carey cut his own salary and eliminated the many perks of office held dear by previous old-guard officers and staff such as limousines and private jets — the infamous “Teamsters air force.” He also began the difficult and painstaking process of removing dozens of corrupt local leaders, many connected to the mob. He shocked UPS in February 1994 with a national safety strike after the company unilaterally raised the weight limit of packages, in violation of the contract. The company was not expecting such a militant response to a move they considered to be their prerogative. Clearly, UPS was dealing with a different type of Teamster leader. Carey won re-election in 1996 against an old-guard slate led by James P. Hoffa, son of the notorious and presumed-dead Teamster leader Jimmy Hoffa. It was a physically demanding and bruising contest. Teamster employers clearly favored a Hoffa victory as akin to something of a welcome counterrevolution in their eyes. “In all honesty, my clients’ interests are best served by a return to the Old Teamsters,” declared Gary Marsack, a Milwaukee-based lawyer representing Teamster employers, and a former grocery industry executive. Ron Carey and the reformers triumphed in no small part due to Carey promising major gains in the upcoming 1997 contract. In order to win those gains at UPS, the Teamsters organized a contract campaign on a massive scale. “First, you have to get organized. You have to have something that brings you together. When you are organized, you then create the leverage you need,” recalled Ron Carey. The leverage Carey wanted could only be achieved by a national contract campaign. Rand Wilson was tapped to be communications coordinator and campaign strategist for the contract campaign. Before being recruited by Teamster friends to work under the new reform leadership, Wilson had worked since the 1980s as a union organizer and led several important labor-centered political campaigns. Tucked in a booth belonging to the union’s Parcel & Small Package Division, Rand Wilson was preoccupied with another, distant battle. He was buttonholing dozens of UPS shop stewards and stuffing their pockets with a booklet called “Countdown to the Contract.” It contained a month-by-month calendar until the July 31 strike deadline and gave myriad tips on how to escalate pressure on the company and build a communications network to keep workers informed and involved. highlight[ed] the importance of Teamster families’ involvement in the upcoming contract campaign. Nine months before the contract deadline, every member received a survey asking them to help shape the union’s bargaining priorities. Wilson crafted the membership survey with Ron Carey and Ken Hall, a West Virginia Teamster and the new parcel director for the Teamsters. The survey asked members what priority the union negotiating committee should place on either creating more full-time jobs, winning wage increases, or improving pensions. The “Countdown to the Contract: UPS Teamster Bargaining Survey” was more than a long list of questions. “The bargaining survey was a very important part of the contract campaign,” according to Wilson. Working closely with the Research Department, we put a lot of effort into how we framed issues so that the questions didn’t divide full timers from part timers, or feeder drivers from package car drivers. The distribution and return of the surveys was just as important because that allowed the leadership to gain intelligence about which locals had the organizational capacity to get a large number filled-out and returned. It signaled who were willing to actively participate. The last Teamster-UPS contract was negotiated in 1993. Since then, the part-time work force at UPS had grown by 43 percent, while the number of full-time jobs has grown by only 10 percent. UPS has hired an additional 46,300 workers, but more than 38,500 of them have been placed in part-time jobs. Therefore, 83 percent of the new jobs at UPS have been part-time jobs. It was not just the growth in the number of part-time jobs at UPS, but the shift toward part-time work. Of course, one would expect part-time employment to grow, as the company expands. However, the shift to part-time jobs is way out of proportion when compared with overall growth in the economy. Since 1993, the volume of packages handled by UPS grew by eight percent. Total company revenues grew by 26 percent. But part-time jobs grew by 43 percent, much more rapidly than the company as a whole. UPS made over $4 billion in profits during the life of the 1993-97 contract. It was well positioned to create more full-time jobs and close the wage gap between part-time and full-time workers and UPS workers knew it. More than 100,000 of them signed a petition demanding that UPS stop increasing the number of part-time jobs and start creating more full-time ones. all Teamster local unions to set up “member-to-member” communication networks. Under these networks, each steward or other volunteer was responsible for communication with approximately twenty workers. The International Union deployed education staff and field representatives — some of them UPS rank-and-filers — to help locals get the networks established. The “member-to-member” campaign was certainly the largest initiative ever in the union — if not the entire U.S. labor movement — to involve 185,000 rank-and-file union members in a contract campaign. The Field Services Department was to play a crucial role in the upcoming contract campaign. Carey created it soon after taking office for his first term, and it organized contract campaigns and ran strikes for contracts negotiated by the international union in Washington. Field Services Department director David Eckstein worked closely with Rand Wilson, training a crew of field representatives for the upcoming UPS contract campaign. I know some of you don’t like me, but this is a national contract campaign and it is going to happen. We have two plans: Plan A is where we give you everything you need to move the campaign in your local, and Plan B is the same as Plan A but we move it in your local without you. According to Eckstein, Carey made it clear that the full weight of the general president’s office would be brought to bear on uncooperative local officials — including the possibility of the nuclear option, trusteeship, in which the international union would seize control of a local and dismiss much of its leadership. On March 7, four days before national negotiations began, the Teamsters organized a national contract meeting with two representatives from each of the 206 local unions representing UPS workers to outline contract goals and strategy. Three days later, UPS Teamsters rallied in ten major cities including Atlanta, Chicago, Dallas/Fort Worth, Los Angeles, New York, Philadelphia, and Seattle. “UPS is a billion-dollar company,” Carey told the media, “that can afford to provide good full-time jobs with pensions and health care.” The rallies around the country gave UPS Teamsters confidence that the international union was solidly behind their most important demands and grievances. On March 11, contract proposals were exchanged. As predicted, UPS, despite making record profits, demanded wide-ranging concessions on subcontracting, pensions, and health care coverage. This was not the usual negotiations setting that UPS labor managers had come to expect, and it was a major change from the 1993 negotiations. Two weeks later, before the next round of contract talks, the Teamsters doubled the number of rallies. In April, the Teamsters launched a campaign to document unsafe working conditions that netted five thousand safety grievances — submitted on specially crafted “EZ Grievance Forms” that the union had designed. Once again, rank and filers were prominently placed on the UPS National Negotiating Committee. Implementing the contract campaign in many reform-led locals was highly uneven. A lot of this stemmed from the circumstances, in which the old guard had controlled many locals until very recently, while some of the best reform activists had been elevated to the staff of local unions or the international union in Washington. The pioneering aspects of the member-to-member campaign ran up against many old guard officials and some local reform leaders who preferred to rely on the traditional union structure of union representatives (still often called Business Agents or “BAs”), or appointed union stewards. Days of Action sometimes were little more than the full-time staff coming down to the nearest UPS hub and handing out flyers in the morning, and then going back to the office. But activist stewards, field reps, and TDU members filled the gaps in the contract campaign. Despite these shortcomings, the campaign shaped the workforce for a confrontation with UPS that was unprecedented in the history of the company. A complete company takeover of health and welfare and pension funds. Expanding Article 40, the air operations section, to have part-timers doing all of the air work at the expense of full-time jobs. No increase in the starting pay of part-time workers. Force UPSers to cross picket lines even for Teamsters-authorized strikes. Water down the “innocent-until-proven-guilty” disciplinary language won in the previous contract. Dave Dethrow, one of the rank-and-file members of the national negotiating committee, kept a fascinating account of negotiations that was later published in Convoy-Dispatch. He was the elected chief steward of St. Louis Local 688 and a veteran TDU activist at UPS. For Dethrow, negotiations were “frustrating” from the beginning, and UPS negotiator “Dave Murray could be arrogant and pompous.” Three days into that bargaining session, when the union caucus met, it was clear that UPS wasn’t budging on major issues. “We needed to send them a signal,” Dethrow recalled. “When the company returned, Ken Hall then informed them that we were leaving.” The union was walking away from the negotiating table. “They sat there dumbfounded as we walked out. I enjoyed that thoroughly." With a union-enforced break in negotiations, the Teamsters escalated the campaign on UPS with more rallies and contract-related events. Not every rally was well attended. Ron Carey spoke at a sparsely attended event in Atlanta at the end of May 1997, and UPS officials were contemptuous. “They’re trying to stage a Broadway production of ‘Les Miserables,’ and what we’re seeing is a high school production of ‘Annie Get Your Gun,’” said UPS spokesperson Mark Dickens. But one small rally doesn’t break a contract campaign. UPS was so overjoyed at the failed Atlanta event that they drew the wrong conclusions from it. They dismissed the union’s campaigning, including Carey’s demand for more full-time jobs, as “posturing.” UPS kept misreading the battlefield. The company would pay for these missteps later. By the beginning of June, all UPS shop stewards received a seven-minute video about the contract negotiations. “It’s Our Contract. We’ll Fight For It” stickers were distributed in the tens of thousands across the country. The Teamsters also took the contract campaign international, a rare development for a US-based union. The Teamsters approached the International Transport Workers Federation (ITF), the oldest of the European-based trade union secretariats that coordinates international solidarity campaigns between different unions in the transport industry. In February 1997, the ITF held a meeting of all unions that represented or aspired to organize UPS workers in their respective countries around the world. They met to form the World Council of UPS Trade Unions in London. Plans for a global day of action in support of U.S. Teamsters were formulated. Media coverage of the planned event so jarred UPS that its United Kingdom general manager called then-ITF general secretary David Cockcroft and asked if there was going to be a one-day worldwide strike. The growing buzz around the campaign was leading its executives to nervously contemplate a global, quasi-revolutionary situation. While no worldwide strike was planned on May 22, in eleven countries the world council “organized more than 150 job actions and demonstrations at UPS facilities worldwide.” One of the stickers for workers to wear on the job read, “Around the World, United for Good Jobs at UPS: International Day of Trade Union Action.” Solidarity strikes also took place in Italy and Spain, and a multinational union protest was held at UPS’s European headquarters in Brussels. The second meeting of the World Council of UPS Trade Unions was scheduled to meet in Washington in early June 1997. Forty representatives of UPS unions from around the globe met to discuss coordinated activity as the contract deadline approached. Ron Carey took the opportunity to introduce each representative to the company bargainers one at a time — much to the annoyance of UPS chief negotiator David Murray. “The clear implication was that there was going to be an international strike,” said Dave Eckstein, former director of the Teamsters Field Services Department. All of the company’s sinister proposals were still on the table. Management people were acting as though they were going through the motions, as if they could manipulate us like they did in the past. Murray was still insulting our members, his employees. Some of the company people acted as if they had trouble staying awake. Throughout July, across the country, nearly every Teamster local union conducted strike votes, and typically voted 90-95 percent in favor of strike authorization. In the past, commitments were made to not speak to the members or the employees for whom the contract is being negotiated. The reason this was viewed as a wise position for both parties was that the communication of positions taken during negotiations often raises the expectations of those people who ultimately could be voting on the ratification of the agreement. In other words, during the days of cozy negotiations between the old guard and UPS, the membership was largely kept in the dark. If Murray thought that such arguments would bolster the company’s position in public or stiffen the spines of front-line supervisors, he was sorely out of touch with reality. We demand that your union provide us with a written undertaking by the close of business on Friday, July 18, 1997, that agrees to I) cease and desist from creation and distribution of your union’s audiotape; II) deliver up to UPS for destruction all copies of the audiotape in its possession; III) provide us with a list of the names and addresses of the individuals to who you have distributed the infringing tape; and IV) delete any and all references to the tape in your newsletters, website and any other communications in which it appears. Two hours before the new midnight deadline, Carey emerged from the mediator’s office and met with his staff. Dave Eckstein remembered that Carey agonized about calling a strike. Despite all the preparation, every battle requires a leap of faith. The union was finally ready to take it. “Are we ready to take on this company?” Carey asked everyone. Eckstein spoke up, “We’ll have a problem, if we don’t.” “Then we’re going!” The strike was on. Holding signs that declared “On Strike,” small groups of UPS workers and Teamster officials descended on hubs across the country late Sunday evening, August 3. But it wasn’t until the next morning that the breadth of the strike became visible to the whole world. Dozens to thousands of striking workers gathered outside UPS facilities stretching from the Maine coastline to the Hawaiian Islands. Glum-faced, white-shirted supervisors stood around uncomfortably, arms crossed, inside the fence lines and guard shacks, dumbfounded. No workers or trucks were going in or out. The crowds of workers slowly formed into picket lines. Most had never been on strike before. It was clear by mid-morning that 185,000 Teamsters were on strike, and two thousand UPS pilots and hundreds of unionized mechanics joined them in the company’s first truly nationwide strike. Nothing was flying or getting serviced. If UPS management was ever convinced that it was popular with its employees, that delusion was shattered on the morning of August 4, 1997. Big Brown was shut down. The Teamsters’ fighting slogan was “Part-Time America Won’t Work,” and it was boldly printed on tens of thousands of posters carried on picket lines across the country. Picket lines in Somerville, Massachusetts, and Warwick, Rhode Island erupted into confrontations with the police, as hundreds of workers tried to stop trucks driven by management scabs from crossing the picket line. UPS began to lose an estimated $40 million a day in business. Packages piled up in enormous mounds everywhere. UPS never actually believed there was going to be a strike and left its customers hanging. It had no Plan B. The other big shipping companies including the U.S. Post Office, Airborne, DHL, Emery, and FedEx couldn’t handle the increased volume of work. The Post Office, the first option for many UPS customers, groaned under the crushing weight of hundreds of thousands of new packages that flooded into its system. UPS’s attempts at scaremongering had little effect. “The economy is going to have 5 percent of its gross national product not moving,” UPS’s chief negotiator David Murray announced to the media soon after negotiations collapsed. But instead of turning people against the strike, it became very clear that despite inconveniences, two days in, the strike was very popular — far beyond anything the Teamsters could have imagined, and to UPS’s great shock. The key issues — part-time work, low wages, unsafe working conditions, and pension and health care protection — reverberated far beyond the ranks of UPS workers. “This strike is a consciousness-raising event,” Daniel Yankelovich, chairman of a public opinion polling firm, told the New York Times. “What so often happens is that an event like this suddenly and unexpectedly focuses attention on something that is on people’s minds and makes their concerns more of a political issue.” The strike brought to the surface the enormous anger that had been building among American workers for two decades and gave it a focal point. UPS scrambled with little success to replace strikers with management and labor agencies provided scabs, but they simply could not replace the enormous numbers of workers on the picket line. A desperate UPS and its allies led by the National Association of Manufacturers (NAM) lobbied President Clinton and his labor secretary Alexis Herman to halt the strike under powers given to them by the Taft-Hartley Act. Despite a White House study that concluded, according to the Scripps Howard News Service, the “UPS strike will touch nearly every sector of the economy, and that the current makeshift delivery system will not survive the onslaught of packages,” Clinton refused. “I think that the biggest reason that the public supported the strike,” said Matt Witt, the Teamsters communications director, “was that the workers rather than the union officials did so much of the talking, and when they did, they showed how they were standing up for working people generally and not just themselves.."
Many strikers were shocked to find themselves being treated as public heroes. Strangers would bring food and drinks to the picket lines or shake strikers’ hands and thank them for what they were doing. Cars and trucks constantly honked their horns in support of the strikers on the picket lines. Unsure of themselves on the first day of the strike when approached by reporters for interviews, the strikers’ confidence grew as the strike continued. Most picket lines were a mix of part-time workers, package-car drivers, and feeder drivers, depending on the type of hub. To the great surprise of many reporters, many part-timers revealed a sophisticated analysis of how the economy worked. Striker Laura Piscotti told the New York Times while walking the picket line at UPS’s massive Chicago Area Consolidated Hub, “These companies all have a formula. They don’t take you on full-time. They don’t pay benefits. Then their profits go through the roof.” Piscotti’s work commute took an hour each way and she worked no more than twenty-five hours a week for a little over $8.00 an hour. UPS workers articulated problems that ran right through the lives of American workers and struck a chord with millions of people. UPS itself, however, had the opposite public relations problem. The darling of the business community and politicians, UPS and their acolytes found themselves caught out in the media spotlight and arrogantly ignored the strikers’ demands. “We are willing to continue to discuss the matter with the Teamsters, but we must emphasize that our last, best and final offer remains unchanged,” Kristen Petrella, UPS spokeswoman, told the New York Times three days into the strike. Such statements won few friends and influenced no one. It hardened an image of UPS as a greedy and insensitive corporation out of touch with the needs of its workers. The perennial political melodrama of the 1990s, the conflict between the Clinton White House and the Republican-controlled House of Representatives that dominated national politics, was blown off the front page for a few weeks. The UPS strike became a national referendum on the state of the economy. "You're Fighting for All of Us"
In several cities during the first week of the strike, the Teamsters encouraged package-car drivers to visit their customers, or “run their routes,” with a part timer to explain the goals of the strike. It was a clever tactic because package-car drivers were overwhelmingly popular with customers — something that had been long recognized by UPS as an important selling point for the company’s services. During the second week of the strike, the Teamsters began to employ more militant tactics in several cities. In Chicago, Teamsters Local 705 Secretary-Treasurer Jerry Zero dispatched Richard DeVries to shutdown scab deliveries in the greater Loop, the downtown business and shopping. DeVries, a union representative for the movers division of Local 705, was well-practiced in the application of labor law to picketing, and had a reputation for militancy and methodical planning. He led many job actions in rebuilding Local 705’s presence in the moving industry, and knew the alleyways and receiving docks, and the unionized personnel that staffed them, better than anyone else in the Teamsters. DeVries led mobile picket squads that shut down scab delivery operations at well-known landmarks like the Sears Tower and the Amoco building, drawing out all the building’s janitors and other union workers to honor the Teamsters’ picket lines. After a squad of DeVries-led pickets descended on the fifty-two-story IBM building, managers posted signs — much to the chagrin of UPS — reading “No! UPS Deliveries Here” on the main delivery dock. When Chicago Sun-Times reporters checked the legality of this tactic, Chris Gangemi of the high-powered law firm Winston & Strawn, told them, “Under the National Labor Relations Act, unions are allowed to request that customers not do business with UPS.” Local 705 pickets also shut down deliveries to McCormick Place, the premiere convention center in Chicago — prompting Mayor Richard J. Daley to demand that Jerry Zero remove pickets. Zero refused. Such militant tactics didn’t scare off support for the strike. Opinion polls revealed that public supported the Teamsters two to one over UPS. We’re really fighting for America’s future. I know first-hand about UPS, I spent twelve years on a truck. One member of the UPS negotiating committee said publicly, “What are people complaining about? $16,000 a year is a lot of money” All I have say is, if that is great money let’s pay them $16,000 and subcontract their jobs. Let’s take away their pension. John Sweeney, president of the AFL-CIO, declared “The [Teamsters] have picked up the gauntlet for all American workers. Their struggle is our struggle.” He went on to pledge the support of thirteen million union members, representing union households of forty million, until the Teamsters won. The Independent Pilots Association, which represented all UPS pilots and had been working without a contract with UPS since December 1996, honored Teamster picket lines, effectively grounding UPS air operations centered in Louisville. The solidarity shown by the pilots was remarkable given that they were so badly represented by the Teamsters, who represented them soon after UPS began its air operation in the late 1980s, that 99 percent voted to decertify from the Teamsters and formed their own independent union. The pilots were completely on board with the Teamsters contract campaign from the very beginning. Dan Campbell, working as a UPS union representative in Texas, said that the pilots “were great and gave the UPSers a lesson in solidarity.” Not one UPS pilot, many of them veterans of the first Gulf War, crossed the picket line during the strike. Solidarity meetings and rallies were held across the country. In Chicago, veterans of the labor movement stretching from the founding of the Congress of Industrial Organizations, the militant trade union federation of the 1930s, through the rank-and-file rebellions of the 1970s, to the Illinois “War Zone” battles of the mid-1990s, attended and spoke in support of the Teamsters. I understand the plight of the part-timers. I know what it is like to be in a truck when its ninety degrees to one hundred and twenty degrees … We have a lot of members who were former welfare mothers and UPS isn’t offering them any medical benefits. Their children aren’t being offered any medicine. Jackson told the audience of reading a letter to a group of part timers from Christine Owens, a UPS district manager in Chicago, claiming that the Teamsters only had $20 million in strike funds and that when it ran out, they’d be crossing the line. Jackson asked the part timers if Owens was right. “What is your response to Christine?” Jackson yelled. “Hell, no! Hell, no!” the crowd responded. The rally felt like being at a revival — a revival for the entire, long-beleaguered U.S. labor movement. The ITF’s leaflet “UPS: Importing Misery from America” was translated into five languages and distributed across Europe. German UPS workers, the largest concentration of UPS workers, were represented by the Public Service and Transportation Workers Union, known by its German acronym ÖTV (now ver.di), the second largest union in Germany. On August 18, the French transport workers’ federation put forward a plan to shut down Orly airport outside of Paris. International solidarity kept spreading. Railroad workers in India refused to transport UPS packages, while in the Philippines, workers from the Civil Aviation Union “organized a motorcade of one hundred cars that surrounded the UPS subcontractor in Manila and prevented the delivery of packages for a day.” Plans for a Europe-wide strike action were called off when a deal was struck between the Teamsters and UPS. The company reached a tentative agreement with the Teamsters on August 20, 1997, fifteen days after the strike began. UPS agreed to the union’s main demands to create ten thousand full-time jobs out of low-wage part-time positions, the largest wage increases in UPS history, and protection against subcontracting of union jobs. The company also backed off its plan to hijack the full timers’ pension fund. Ron Carey hailed the agreement as an “historic turning point for working people in this country. American workers have shown they can stand up to corporate greed,’” he said. Ron Carey didn’t savor the victory very long. Because of the government funding and monitoring of the union, a well-coordinated “Get Carey” campaign succeeded in driving him out of the union. He was later found not guilty in federal court. Carey was personally vindicated, but the damage was done. Hoffa and the old guard retook control of the Teamsters. But the UPS strike should not be confined to history. At the time, it felt like the strike of the future. And it still is. Today, the United States and world economy is organized around the sprawling logistics industry like UPS. Logistics giants — almost entirely non-union — such as FedEx, Walmart, and Amazon are as visible in daily life as UPS was in 1997. After Amazon’s recent buyout of Whole Foods, along with the growth of its own warehousing and delivery network, it might employ nearly four hundred thousand workers by the summer of 2018. If a labor movement is to be rebuilt in this country, it will have to organize logistics giants like Amazon. The UPS contract campaign and 1997 strike provide one successful model for fighting a logistics giant. Two decades after the historic 1997 strike, UPS workers are extremely unhappy with their working conditions and the major concessions given by the Hoffa administration during the last round of contract negotiations in 2012. 70 percent of UPS-Teamsters voted against Hoffa in the 2016 Teamsters elections. He barely survived re-election. The Teamsters have launched a contract campaign at UPS for the upcoming 2018 contract led by Boston Teamster leader Sean O’Brien. So far, it is mostly a media campaign focused on O’Brien himself. Another campaign is organized by Teamsters United, led by Fred Zuckerman, the near-victor of the Teamsters 2016 election. Supported by the TDU, the campaign will raise the issues that Hoffa hopes to ignore and put some energy into fighting UPS. Joe Allen is the author of The Package King: A Rank and File History of United Parcel Service, Vietnam: The Last War the U.S. Lost and People Wasn't Made to Burn: A True Story of Race, Murder, and Justice in Chicago (Haymarket, 2011). He has written for Jacobin, Socialist Worker and elsewhere.